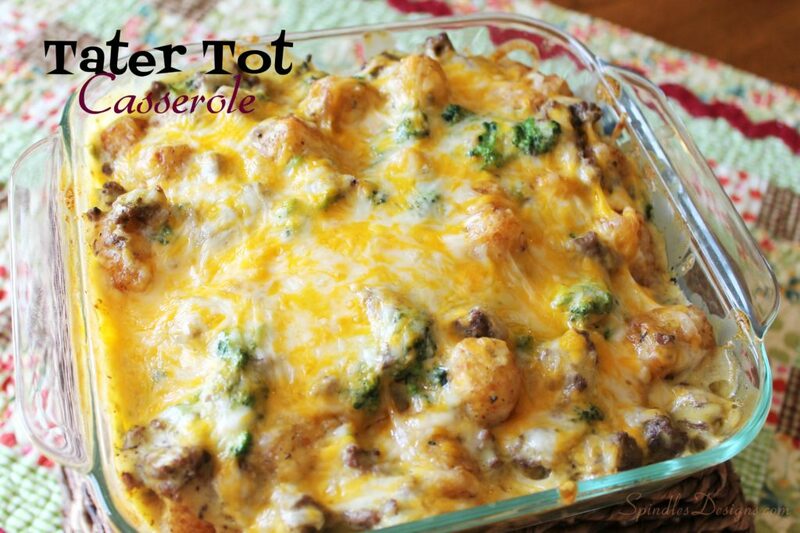 I make Tater Tot Casserole for my husband and kids… shhhh don’t tell… I don’t really like it. They love it, so I make it. Its nice to see them polish their plates. I know I’m not the only mom who does things she doesn’t like for her family. All part of the job, right Mom’s. It’s really great for dinners when I leave for a girls night out. 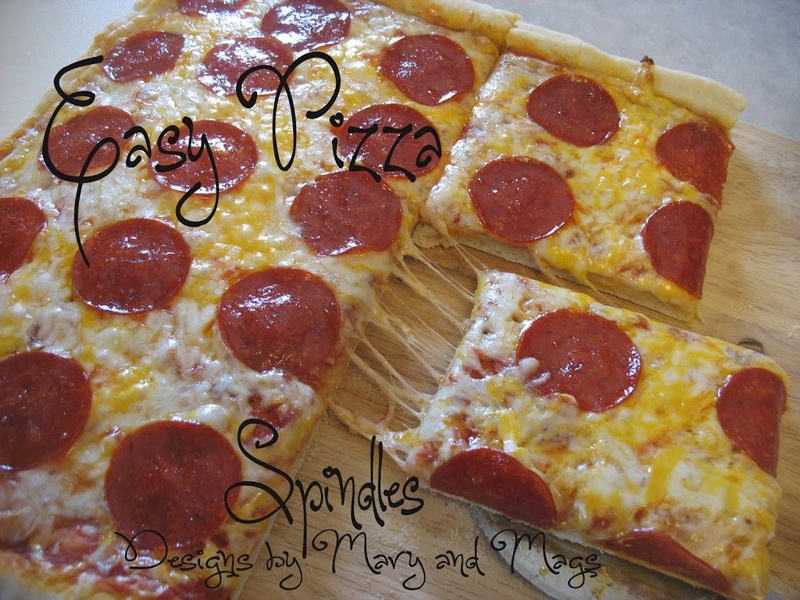 Now I just need to teach my husband to make it…ha ha! Brown hamburger and onion, drain. Stir in soup and frozen broccoli. Some like to layer tater tots over the soup, I prefer to stir it all together in a 9 X 13 pan. Top with cheese. Easy comfort food the entire family will love. Brown hamburger with chopped onion, drain. Stir in cream of chicken soup. 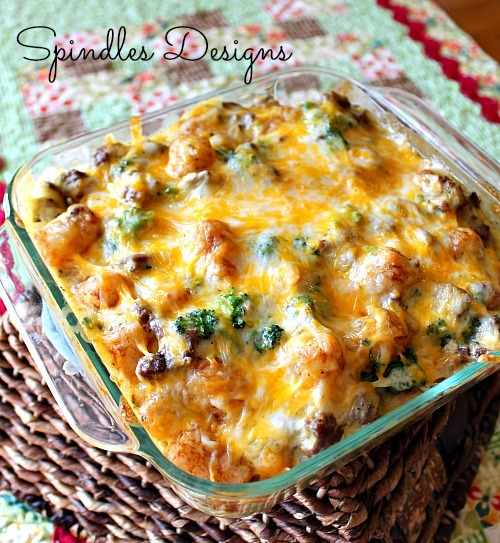 Pour into a 9 x13 casserole pan. Layer tater tots on top or stir in. Bake 350 degrees for 30 min. yummy! I think I have all these ingredients already to. This may be tomorrow nights dinner. Thank you! I would like this though..I’m a tater tot freak!! I’m so glad I’m not alone. Thanks for you comment. This looks delicious! 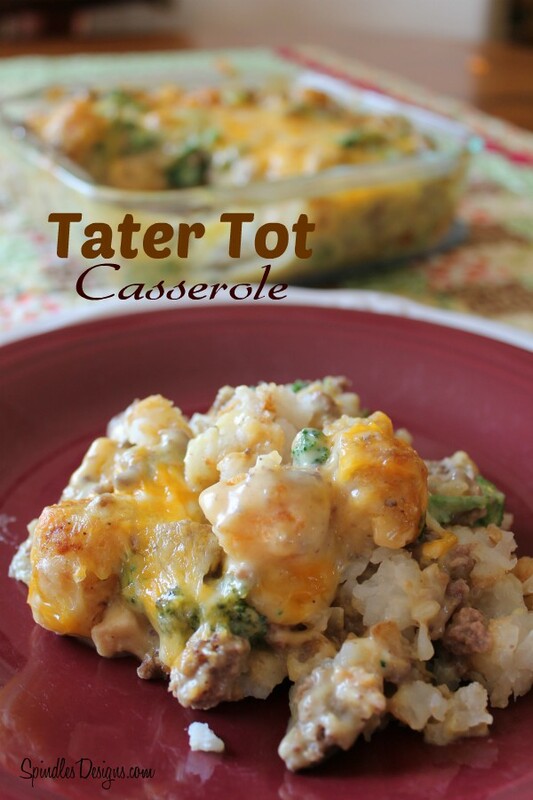 My kids love anything with tator tots… so they will enjoy this! 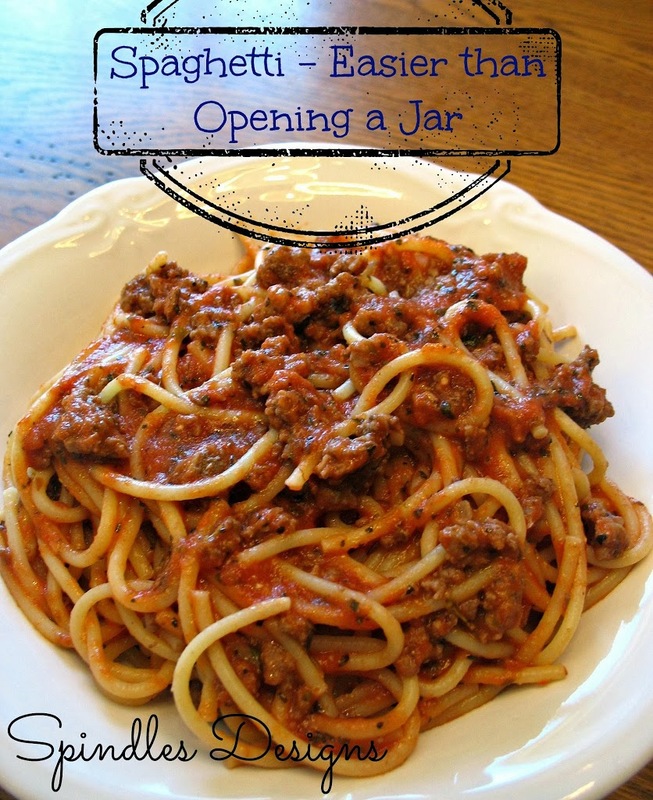 Stop by and link up at Tickle My Tastebuds! Thanks, we’ll be sure to visit.